Parents struggling to pack school lunches kids want to eat may find a very nearby source of help—their own kids. When they have a say about what goes into school lunches, kids are more likely to eat them--rather than trade or, worse, throw them away. And when kids can become proficient at packing their own lunch, this is one less job for mom and dad. Here are some tips on getting kids to pack their own lunches. Teaching kids to make their own lunches takes time—something most of us don't have in our typical school morning routine. So pack the lunches the night before, and you'll thank yourself that task is taken care of each morning. This is a great opportunity to teach kids about what makes up a healthy meal. Talk to them about what should go in a school lunch that is nutritious. Explain that a sugary snack may make them feel tired at the end of the day. Be specific. Tell them how many of each type of food should make up a lunch or, for example, how many cookies should go into the baggie. The best way to do this is to work side-by-side packing lunches together for a while. Kids can put together a lunch, but they can't grocery shop or cook most foods. So it's up to you to have the food on hand for them to pack. Be sure to have a variety of choices, so kids don't have to pack the same thing every day. On the flip side, don't keep on hand foods that you don't want them to eat. We know it sounds obvious, but often we keep unhealthy foods around as a "treat" or for adults only. It's easier only to make available what you want them to eat, rather than to become the food police and have to OK every item. Mark "Do not eat" on leftovers that you are saving for another meal. It's probably not practical to keep everything that kids might pack in lunches (fresh fruit, bread, etc.) in this one place, but keep food items such as individually-wrapped snacks that are reserved for lunches only here. You can also keep a list of lunch items found elsewhere (yogurt in the fridge, tuna in the pantry, etc.) here to remind kids of what's available. 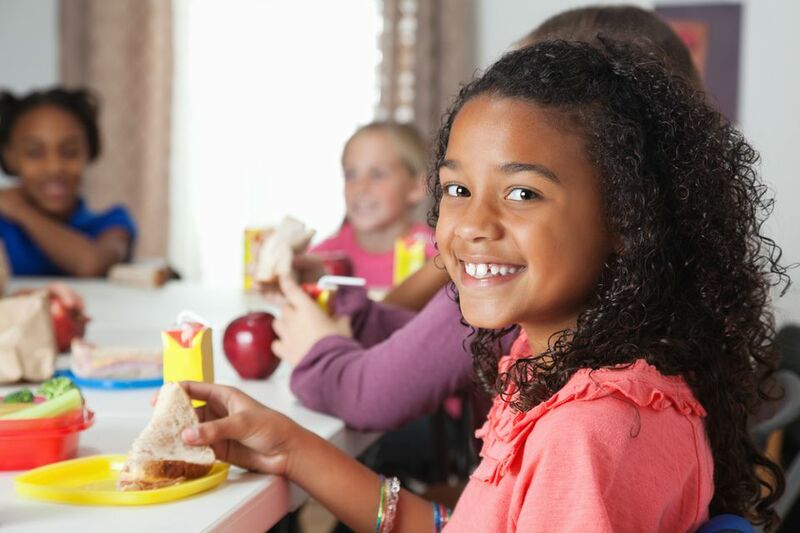 School lunches kids make may need daily oversight as they are learning, and you may want to keep that up even when they become proficient lunch-makers. But if not on a daily basis, the occasional surprise inspection—to be sure kids are following your guidelines—is a good idea. Have kids empty and clean lunch boxes at the end of the day. Not only does this take one more task of parents' to-do lists, but it also makes kids more conscious of how disgusting the habit of leaving unwrapped, unfinished food in their lunchboxes is. And, of course, if kids empty their lunchboxes, they should know where to find them when it comes time to make lunches again.